Ferrari's approved used car scheme | What Car? Ferrari has launched a new factory-approved scheme for used cars, called Ferrari Approved. Cars sold through the scheme will be have a minimum of a one-year warranty and roadside assistance package. In addition, before they go on sale, all cars will have a 190-point technical inspection, an independent identity, mileage and ownership history check and verification there is no outstanding finance. Each car will also have a service history check to ensure the car has been appropriately maintained by Ferrari during its life, and any defective parts found during the checks will be replaced with genuine Ferrari parts. 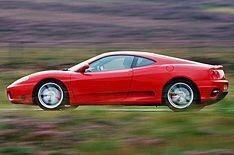 Cars covered by the scheme will be up to nine years old, which includes the 360 Modena, 360 Spider, F430, 550 Maranello, 612 Scaglietti and Superamerica. Ferrari Approved is available through all of the 15 official Ferrari dealers in the UK.